The Sherrills Ford Optimist Club will hold our next monthly meeting on February 7th at 7pm. 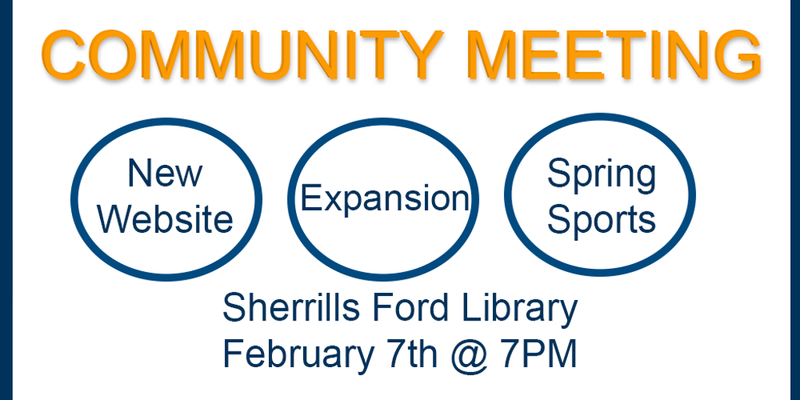 The meeting will be held at the Sherrills Ford Library. We welcome everyone to come out and join us as we discuss the upcoming sports season, upcoming wrestling event, valentines dance and much more. If you have any interest of serving on the board we ask that you come get involved as elections for new officers will be coming up soon!